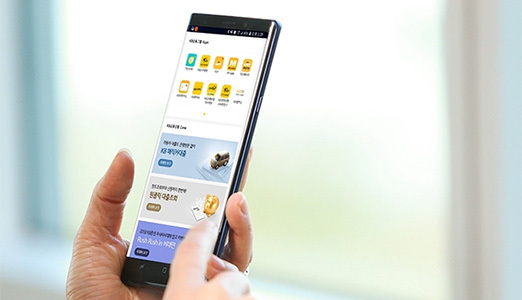 A financial holding company in South Korea used Knox Configure to preinstall 13 banking apps on Galaxy phones. 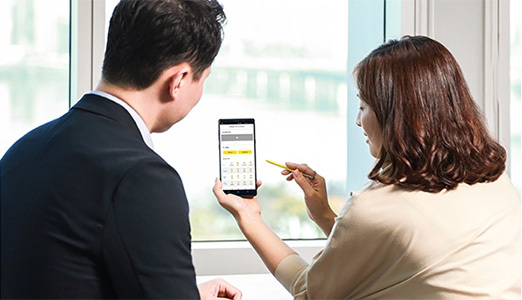 The company worked with Samsung and Knox Configure to create a set of configured Samsung Galaxy smartphones that instantly launches 13 of its most popular banking apps. KB Financial Group is South Korea’s leading financial institution, providing a broad range of financial services to both consumer and corporate clients. As a comprehensive financial group with the largest customer base and branch network in Korea, KB Financial Group leads the Asian financial industry with 12 affiliates that include KB Kookmin Bank, KB Securities, KB Pasona Insurance and KB Kookmin Card. Customers of this group have had to use different apps for different banking services, from money transfers to stock trading. The group wanted a solution that would make it easier for their customers to bank with them and also explore their wide range of services. The company worked with Samsung and the Knox Configure technology to create specially configured phones for the Korean market. 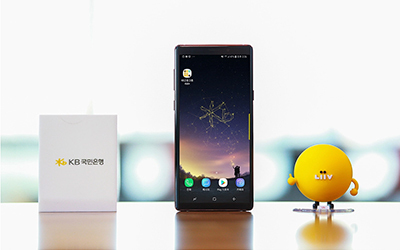 The boxed Galaxy x KB Star smartphone comes loaded with KB Square, a quick launcher that includes 13 apps for its financial service affiliates that can be accessed from the device lock screen. Customers can now check their bank accounts, transfer money, and pay bills without having to navigate through their device. Additionally, the company introduced custom device boot and shutdown animations that customers would see as they powered the device on and off. Galaxy x KB Star smartphones are available for purchase on each KB Financial Group affiliate’s homepages, and include the Galaxy Note 9, Galaxy S9, and Galaxy A8 models. By applying Knox Configure to Galaxy devices - which is a preferred brand by customers - we seamlessly enhanced user experience and achieved synergy. It is our goal to continue working with Samsung and improve the mobile experience of our online finance services, and provide more features." Customers who use the Galaxy x KB Star smartphones can interact between 13 popular banking apps preinstalled on their device and don’t need to individually download and install each one. Additionally, they can be certain they have official versions of these apps. Customers are now aware of the group’s other financial services and are able to easily interact between them. As a result, each service has seen an increase in engagement. As customers power on and shut down their devices, they see KB Financial Group’s logo, creating a brand impression.